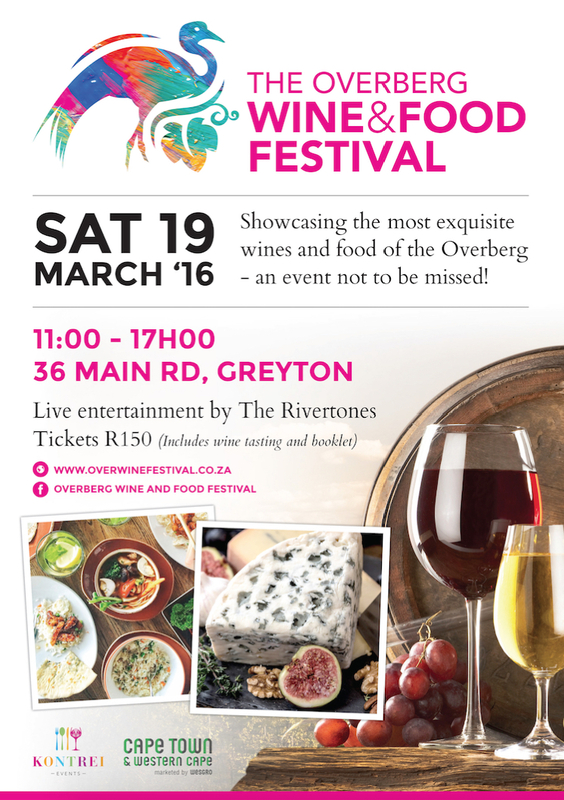 The first annual Overberg Wine and Food Festival brings together some of the finest wines produced in the Overberg in a quirky setting. The diverse landscapes of the Overberg region – from windswept coastal plains to the slopes of the Overberg mountains – produce grapes with very distinctive characteristics, which together with the famous hospitality of winemakers, have made the Overberg a highly popular destination for wine-lovers. 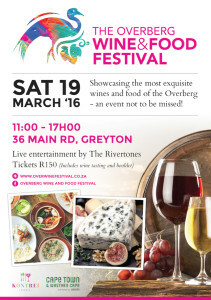 Exhibitors include Gabrielskloof, Hermanuspietersfontein, Boschriver, Misty Mountains, Wildekrans, Paardenkloof, Walker Bay, Oak Valley, La Vierge, Beaumont, Barton, Sumaridge, Creation, and Lismore (Wine of Origin, Greyton).